Every quarter Whole Planet Foundation aggregates field metrics from our microfinance partners who are disbursing and collecting microcredit loans to people living in poverty. With a small loan – the current average first size is $178 - an impoverished entrepreneur has the opportunity to create or expand a home-based business and generate income for herself and her family. See who we support and view our impact dashboard. 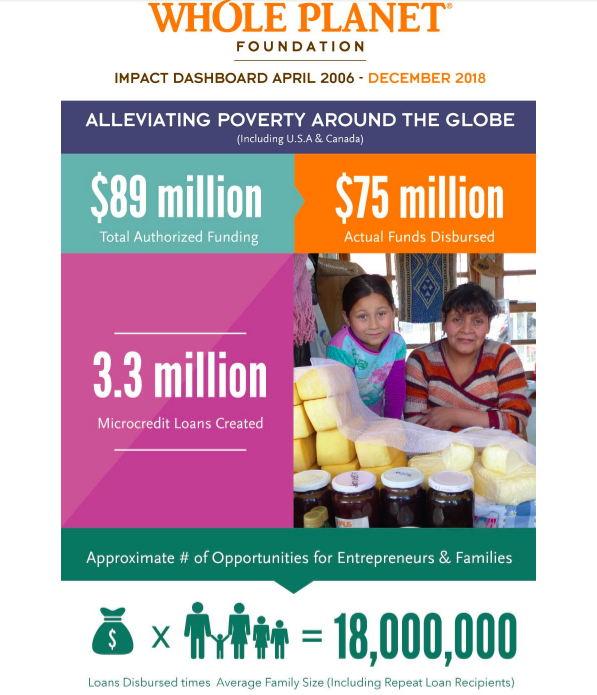 Learn more about Whole Planet Foundation microfinance partners and our global poverty alleviation in 75 countries here.